Ensuring communities benefit from job creation and natural resources use is an important part of ensuring sustainability, but changing the mindset of the youth is essential to changing attitudes of entire populations. There is no doubt that sport inherently creates a fun and receptive environment for learning. By linking conservation to core values through sport – soccer being the enabler – children are able to personally connect with wildlife. In creating conservation solutions, it involves children through its unique ‘Learning from Wildlife’ education model. This engages children at the ideal age where they are cognitively aware enough to understand the concepts and issues. It is based on two fundamental principles: Firstly, you cannot value something until you know something about it, and secondly, learning takes place best in an interactive and fun environment, delivered by great mentors. In order to ensure the community surrounding the SAWC would be ready and embrace this programme, the SAWC and C4C committed to funding a situational analysis exercise and a C4C staff member spent a month with the Mnisi Communities (14 communities surrounding the SAWC). The results and advice of the situational analysis was that “it is strongly recommended that the C4C programme be piloted at the four schools where the College is already working. The key goals of the pilot would be to allow new C4C coaches and facilitators (SAWC staff) to familiarize themselves with the programme and to learn lessons from the pilot in terms of what the challenges and strengths are in the community (e.g. access to sport fields, girl and boy participation, teacher enthusiasm, interest from other schools and community institutions etc.). The pilot would also be important for staff at the College to assess to what extent they can expand the programme based on its own human resources capacity. Prior to the commencement of the pilot, the College selected staff members interested in becoming C4C soccer coaches or educators in their community. These people have now been trained to become coaches and educators, with the complete training course trained by C4C. Upon completion of the pilot, C4C and the College will assess the outcomes of the pilot and mutually discuss how they see the road ahead and what their mutual capacity is to expand the programme. 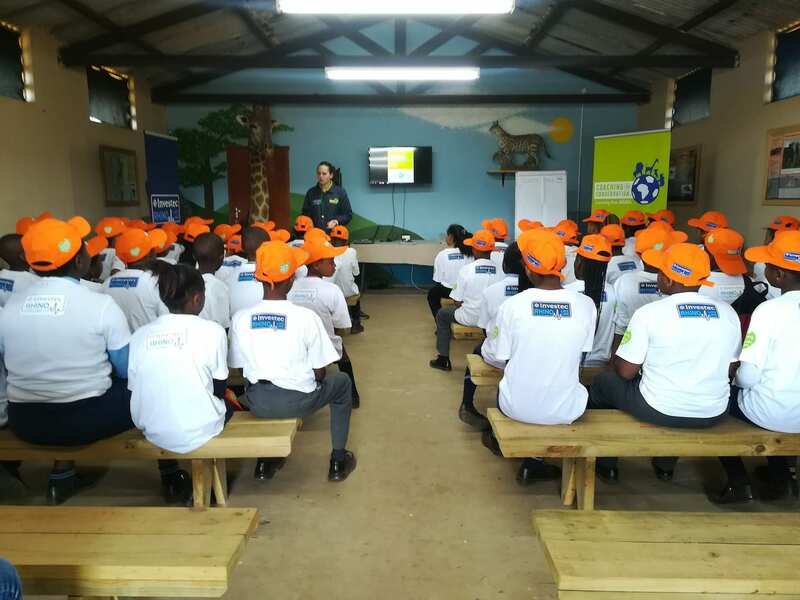 Through the C4C programme, the College aims to works with communities living alongside one of the greatest wildlife areas, the Kruger National Park. “In using C4C as an enabler, the College aims to work with the community to help youth become active, healthy, and nurture an understanding and passion for conservation, which for us is very exciting,” said SAWC CEO, Theresa Sowry.